Observation - Unknown Fish, Mozambique - Southern Africa. 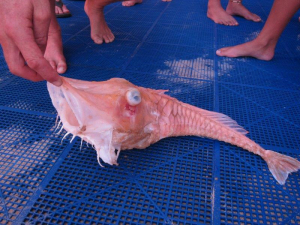 Description: Pink, large-scaled fish found washed ashore 20km south of Inhambane, Mozambique. Pink, large-scaled fish found washed ashore 20km south of Inhambane, Mozambique.